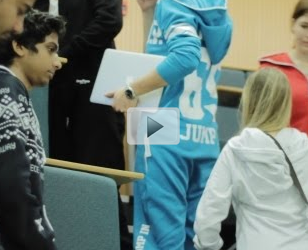 Dan Holloway, a professor at a British university, used the OnePiece jumpsuit as part of a research project to help improve the integration of many students. Over the course of two semesters, he found the OnePiece jumpsuit is more than just a fashion statement. It can improve grades, social interactions and self-confidence. Take a few minutes and watch the interesting findings behind this study.